The bar has been raised for the Colorado Avalanche, who will attempt to qualify for the Stanley Cup Playoffs in consecutive seasons for the first time since 2006. "Hopefully we can do some damage [this] season," said forward Nathan MacKinnon, a Hart Trophy finalist last season when the Avalanche lost in the Western Conference First Round against the Nashville Predators in six games. "There's going to be higher expectations for our team. (It's) playoffs or failure." Avalanche general manager Joe Sakic said, "Guys are hungry. I like the mentality; they want to win, they want to come in hungry and try to get to another level." The Avalanche will have a more experienced roster in coach Jared Bednar's third season. They used 11 rookies in 2017-18 and nine players made their NHL playoff debut when the Avalanche (43-30-19) finished fourth in the Central Division and earned the second wild card into the postseason from the Western Conference with 95 points, 47 more than the previous season. "We have to take another step and it's easier to say than it is to do," said Bednar, a finalist for the Jack Adams Award last season. "The experience for some of our young guys is something that can't be overlooked, but there was a lot of hard work and commitment to get to where we were, and we'll have to do it again and do it even better." 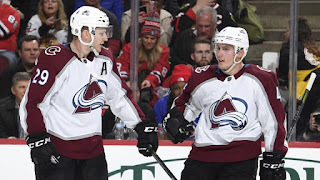 The Avalanche return a top line of MacKinnon, whose 97 points (39 goals, 58 assists) were fifth in the NHL last season, Mikko Rantanen, who had 84 points (29 goals, 55 assists), and Gabriel Landeskog, who had 62 points (25 goals, 37 points), along with defenseman Tyson Barrie, who had 57 points (14 goals, 43 assists). Colorado also will rely on forwards Sven Andrighetto, J.T. Compher, Tyson Jost, Alexander Kerfoot, Matt Nieto and Carl Soderberg, who combined for 173 points (83 goals, 90 assists) last season. In net, the Avalanche have Semyon Varlamov and Philipp Grubauer, who was acquired in a trade from the Washington Capitals with defenseman Brooks Orpik on June 22 for a second-round pick (No. 47) in the 2018 NHL Draft. Colorado signed Grubauer to a three-year contract and bought out Orpik, who re-signed with the Capitals. Grubauer will compete with the oft-injured Varlamov for the No. 1 job after going 15-10-3 with a 2.35 goals-against average and .923 save percentage for Washington last season. He replaces Jonathan Bernier, who signed with the Detroit Red Wings. Varlamov (24-16-6, 2.68 GAA, .920 SV%) missed 18 regular-season games because of injury and illness in 2017-18, and he was out all six playoff games with a knee injury. He missed the final 10 weeks of 2016-17 after deciding to have hip surgery. "We really feel we need two really good goaltenders and we like where Grubauer is," Sakic said. "He's just coming into his prime. We feel with our young group that we have two goalies that can win hockey games for you and you can rest them at times. There's competition, but for us the reason we [made the trade] is to make sure that we have two goalies that regardless of what game it is, either goalie can win a hockey game for us." Defenseman Ian Cole and forward Matt Calvert each signed a three-year contract after finishing last season with the Columbus Blue Jackets. Cole, a two-time Stanley Cup champion with the Pittsburgh Penguins (2016, 2017), adds a veteran presence to an improving defense that includes Barrie, Mark Barberio, Erik Johnson, Samuel Girard, Patrik Nemeth and Nikita Zadorov. Defenseman Conor Timmins, a second-round pick (No. 32) in the 2017 NHL Draft, will compete for a roster spot. 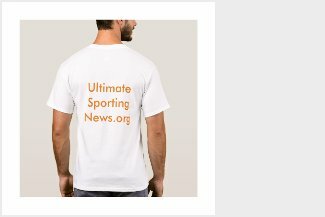 The smooth-skating Girard had 20 points (three goals, 17 assists) in 68 games with the Avalanche as a rookie after being acquired Nov. 5, 2017, from the Nashville Predators in the three-team trade that sent center Matt Duchene to the Ottawa Senators. Zadorov (6-foot-5, 230 pounds) led the NHL with 278 hits and showed some offensive ability with 20 points (seven goals, 13 assists) in 77 games. Calvert has good speed and will kill penalties in a bottom-six role. He replaces forward Blake Comeau, who signed with the Dallas Stars. The Avalanche didn't re-sign forward Nail Yakupov, who was a healthy scratch in 18 of the final 26 games and all six playoff games. Yakupov, selected by the Edmonton Oilers with the No. 1 pick in the 2012 NHL Draft, had 16 points (nine goals, seven assists) in 58 games last season and signed with SKA St. Petersburg of the Kontinental Hockey League on July 3.